Electronic? Home Automation? With DMBoard ICS they are as easy as downloading an App! Are you looking at a way to remotely control your boiler, automatically open an unreachable window in the attic, open the house main gate with your mobile phone, etc … You’ve just found the right place! DM Board ICS is an open source project that allows you to monitor and control whatever you want from wherever you want in any way you want! It is an electronic board with 5 inputs and 5 outputs (that can directly drive relays), a GSM module, a microphone, a speaker output and much more. You can also configure the board to run in a low power mode so it can be powered by battery (with an estimated battery life up to 1 year, depending on the implemented software). Don’t get scared, all these functions can be easily used and controlled using the DM Design software. It is practical, fast and intuitive. You don’t need to know any programming language, our software allows you to configure and exploit all the board functions by using a simple and straightforward methodology based on functional building blocks. Don’t you have time to create your own program? No problem… we created the DM Store. It’s an online space where everybody can upload their projects, sharing them with the DM community. You can quickly download the software that most suits you. 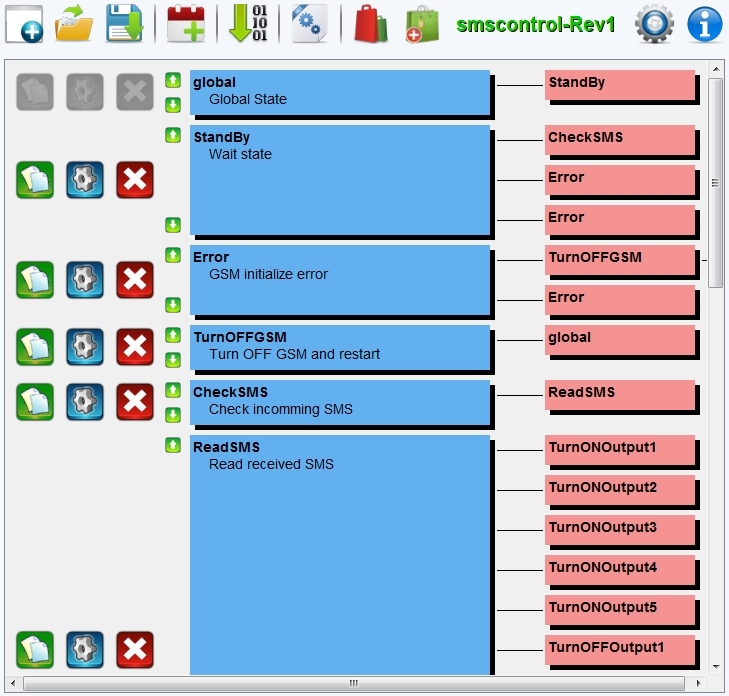 You can then modify it to adapt it to your own application or immediately load it to your DM Board ICS.